On the world stage, Australian’s are often painted as sun-tanned surfers who also live in the outback, where they avoid the most dangerous animals on earth, all to end the day with a cold Foster’s beer in hand and a shrimp on the barbie. As is the case with most stereotypes, this isn’t even close to the truth. Although, I do imagine Crocodile Dundee would have been an interesting person to spend a day with. In truth, Australia has rather interesting and humorous beginnings which have carried on into present day. The first “currency” used in Australia was rum. When New South Wales Corps, the first permanent regiment, arrived in the colony in 1790 they became known as the Rum Corps because of their trade rum. This choice of payment was used to pay convicts for menial labor and military officers in lieu of money. In Australia there are almost 100,000 more women than men, with six out of eight states and territories experiencing a man drought. Tasmania grows roughly 85 percent of the world’s thebaine, an opium poppy extract used to make OxyContin and a family of closely powerful prescription drugs that have changed pain management over the last 20 years. Tasmania also accounts for a quarter of the world’s morphine and codeine, two older painkillers from opium poppies that are still widely used. 4) No Hot Pink Pants? In Victoria, it is illegal to wear hot pink pants after midday Sundays. This law is no longer in practice, but it has yet to be repealed. I supposed they assumed it gave the government some character. 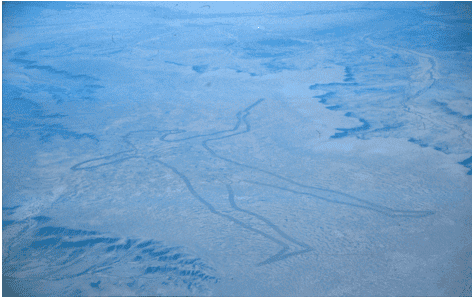 The Marree Man is a 4 kilometer long depiction of an indigenous character that was carved in the desert over a decade ago. No-one knows who did it or why. The area that bears the drawing is owned by two different indigenous groups who have argued over how the land should be used. As it is now a popular tourist attraction, the current choice is to restore it because it has started to fade. Bob Hawke could well be the only world leader who earned a place in the Guinness Book of Records for boozing when he drank a yard glass of ale in fewer than 12 seconds in 1954. He later parlayed this skill to become a man of the people and Australia’s most popular Prime Minister. Australians are well aware of this one! They have one of the world’s slowest internet download speeds ranking 58th in the world slower than Kazakhstan, Vanuatu and Madagascar. 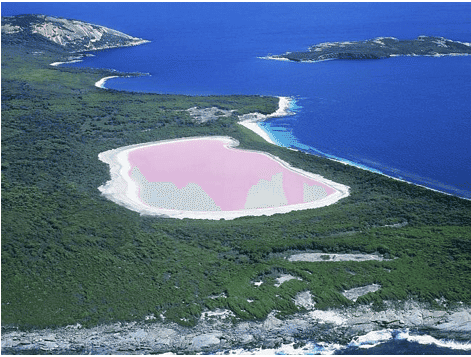 Lake Hillier is bubblegum pink! No-one fully knows why. Scientists speculate that the color comes from a dye created by bacteria that lives in the salt crusts. In 1832, three hundred women convicts stood as one and bared their backsides at the visiting Governor during an assembly. The convicts at the Cascades Female Factory collectively spun around, lifted their skirts and slapped their bottoms at the Governor, Sir John Franklin, his wife and the reverend William Bedford “making a not very musical noise’’. Apparently, the ladies in the governor’s party were unable to control their laughter. This event takes the words “flash mob” to a whole new level! In 1789, The Night Watch and the Row Boat Guard were appointed by Governor Phillip. These men were drawn from the ranks of the best behaved of the convicts. If you travel along Australia’s east coast you are bound to run into a cane toad race at least once during your travels. They are a poisonous South American toad that can grow as big as dinner plates and breed like rabbits. Before the race begins someone is given the task to collect a bucket of cane toads. They are then fitted with a number on their back to tell them apart. The numbers correspond to names on the board you see above. To make it more internationally competitive, they get names associated with countries and are then assigned to people from those countries that are picked from the audience. One by one they are issued their cane toad, instructed to kiss the toad, and place it in a bucket in the center of the dance floor. Then the bucket is lifted, the cane toads take off and the crowds go ballistic with excitement. The first toad to leave the dance floor will be the winner. This public ordeal makes me sick. But the reason why they do this, hit me with the force of a cement bag. Why Hitting Broken Electronics Can Make Them Work: The Science Behind "Percussive Maintenance"